I’ve talked about relationship building a lot on the Smart Passive Income Podcast. It’s an essential—and potentially life-changing—aspect of growing your business and your reputation as an entrepreneur. That’s why I’ve invited a relationship mastermind, Selena Soo, here today to give you her expert perspective on approaching influencers and building your network. As a coach to countless successful entrepreneurs (some of them coaches themselves), Selena understands the kinds of tactics that win over new contacts and forge meaningful connections. You’ll hear stories from her own encounters with industry legends, the mindset she adopts when making a first impression, and common mistakes she sees other entrepreneurs make. Selena and I also walk through three fun, hypothetical scenarios where you’ll get to hear her relationship-building strategies in action. We’ll cover everything from marketing a new book to attracting high-level coaching clients—there’s something for every entrepreneur in this episode. Want to make a stellar impression the next time you run into your favorite entrepreneur? Selena’s here to help. Listen in! If you have any questions, head on over to AskPat.com. This bite-sized show has more than six million downloads and counting! Special thanks to Selena for joining me this week. Until next time! Here today is relationship-building expert and PR mastermind Selena Soo with advice for approaching influencers and forging connections with entrepreneurs you admire. Advice for approaching people you admire. Common fears that hold entrepreneurs back from relationship building. The introductions that changed Selena's career. Messaging pitfalls and things to avoid when emailing influential people. Favorite relationship-building experiences from Selena's own career. Simple ways you can invest in yourself as an entrepreneur, today. 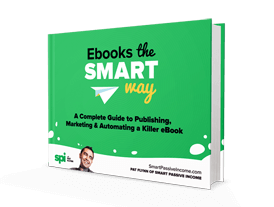 Tips and resources for marketing your next book. 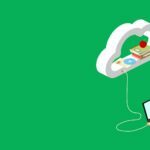 Strategies for promoting your next online course. Advice for positioning yourself as a high-level coach or mentor. Two free resources for growing your network and your business, and more!